Here at Acura of Limerick, we’re your preferred Acura dealer serving Harleysville, PA and the premier destination for the best car-buying experience in town. We offer a robust inventory of new Acura vehicles and our staff is warm, welcoming, and expertly trained to assist all your needs. Today we’re highlighting one of the hottest vehicles on our lot, the 2018 Acura ILX. You’ll quickly see why this terrific sedan is not to be missed. The 2018 Acura ILX showcases the dedication to design and quality that the Acura brand is known for, and it does so with considerable style. Under the hood, you’ll find a featured 201-horsepower 2.4-liter I-4 engine and eight-speed automatic transmission that make for a thoroughly invigorating driving experience. Things get even better when you consider the available SportShift paddle shifters. The 2018 Acura ILX scores high on fuel efficiency as well. It earns an EPA estimated 25 MPG city and 35 MPG highway fuel economy. Nobody wants to spend extra money on gas, and with the 2018 Acura ILX, you get to put that extra saved money to good use. 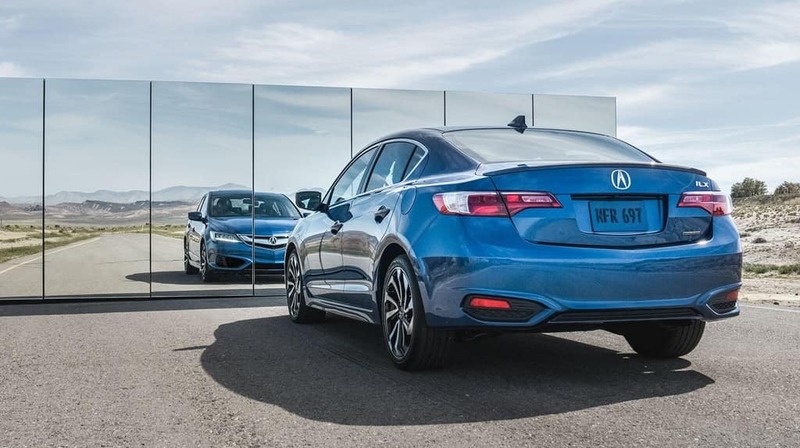 While the 2018 Acura ILX for sale near Philadelphia, PA is superb with its performance, it hasn’t overlooked safety and entertainment as you’ll soon find out. Keeping you and your passengers safe is a top priority, and it’s clear to see with the vast array of available safety features. Some highlights include a back-up camera, a blind spot information system, lane keep assist, and adaptive cruise control. Naturally, the new Acura ILX is also jam-packed with comfort and entertainment amenities. Some of our personal favorites are keyless entry, a premium seven-speaker sound system, Bluetooth®, and Siri® Eyes Free functionality, just to name a few. Head on down to Acura of Limerick today to test drive the brilliant 2018 Acura ILX. You can find us conveniently located at 77 Autopark Blvd in Limerick, PA, where our staff will take wonderful care of you. We look forward to serving you soon!